After a series of volcanic eruptions destroyed the southern half of Montserrat, including the capital city of Plymouth, the population that chose to remain on the island relocated to the largely unaffected northern regions. This has required the development of mountain and coastal areas to provide space for residents, businesses, and the local government to reestablish themselves and regain a footing in their beloved home. Much of the new construction has concentrated around one of the few remaining protected mooring areas, Little Bay, in the northwest. Coastal construction unfortunately can be very destructive for local reefs and ecosystems, which is why the Montserrat Reef Project has taken up the task of creating an artificial reef system in the nearby waters. 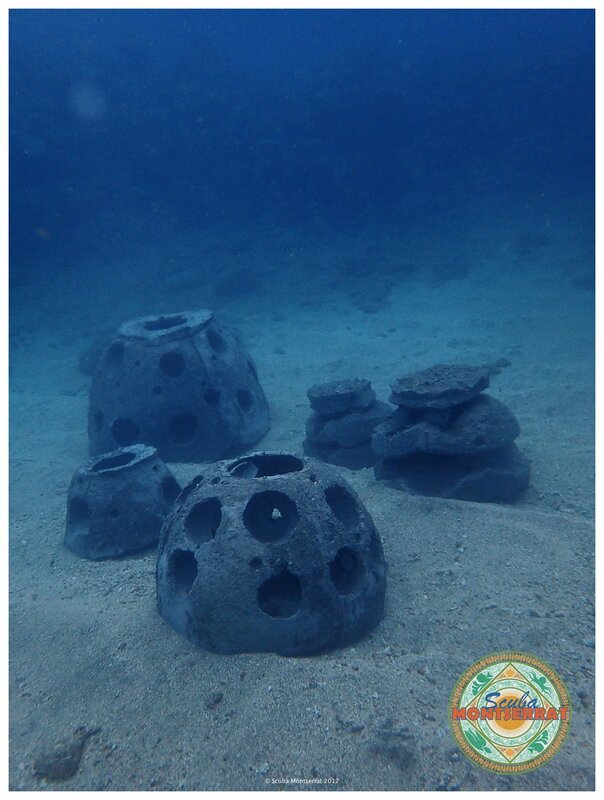 The team at Scuba Montserrat has placed a series of Reef Balls which they can then use to relocate and transplant mature critically endangered corals from the impact areas before they are destroyed. They have also been farming corals on site which they can use to supplement the system and create a new habitat for the displaced fish and sea life. The project creates a balance by minimizing the environmental impact inherent in continued development, while allowing necessary steps to be taken to accommodate the local population and create a thriving town, community, and tourism industry. Update: New life after only two months in the water!! Check out all those red eggs!